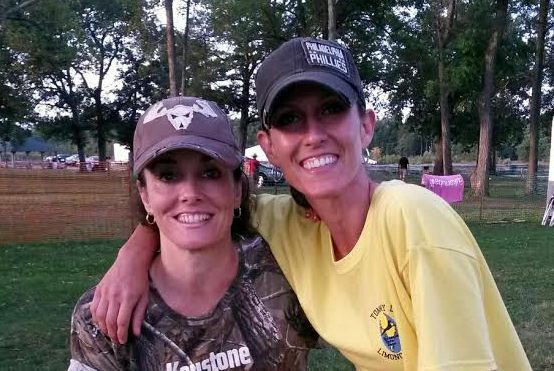 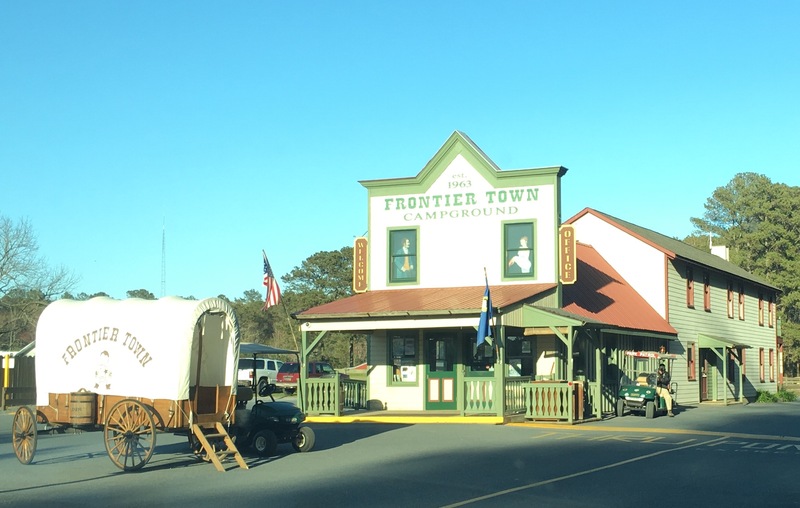 During the weekend of April 22-23, The Liver Killers attended one of our favorite competitions held annually at Frontier Town Campground. 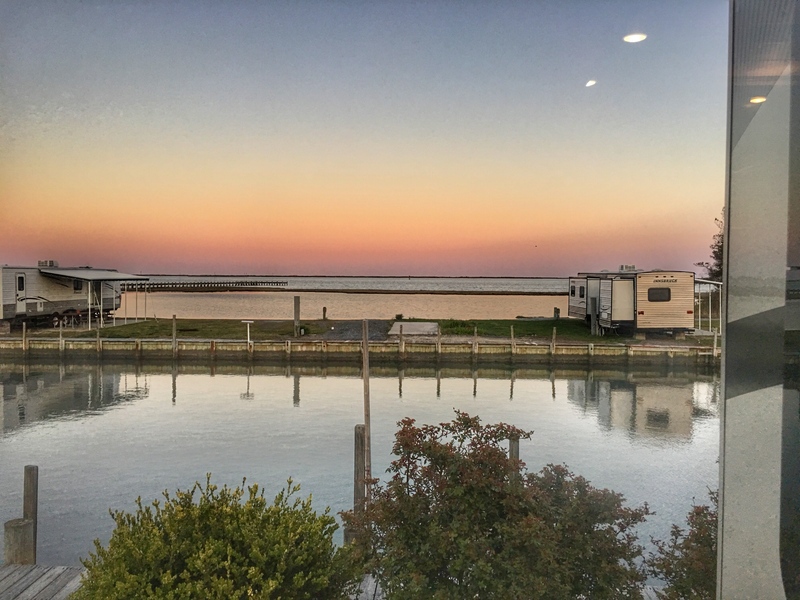 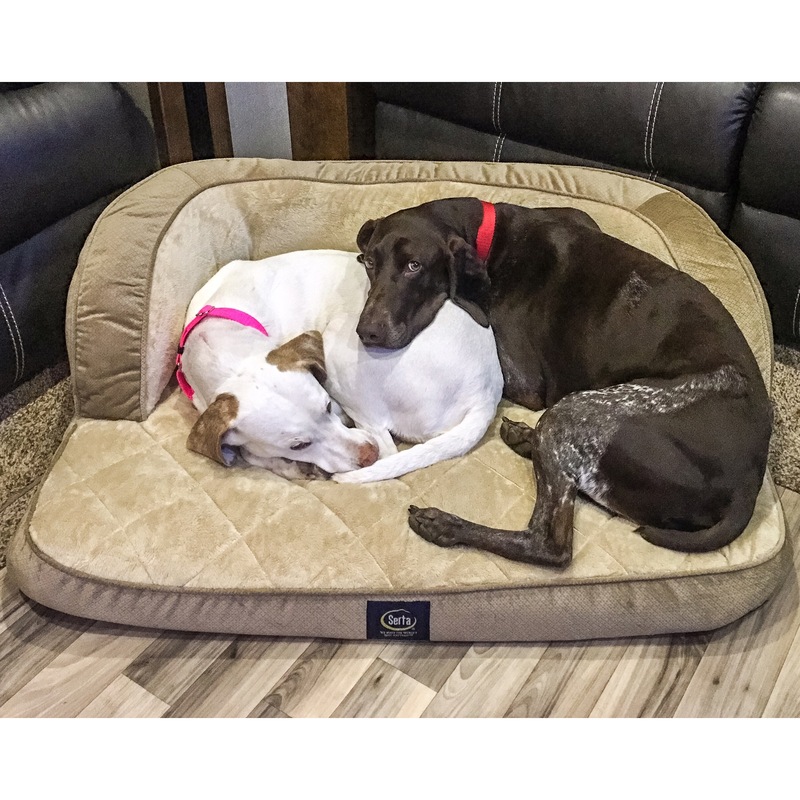 We absolutely love this campground – and the dogs LOVE the waterfront campsite ! 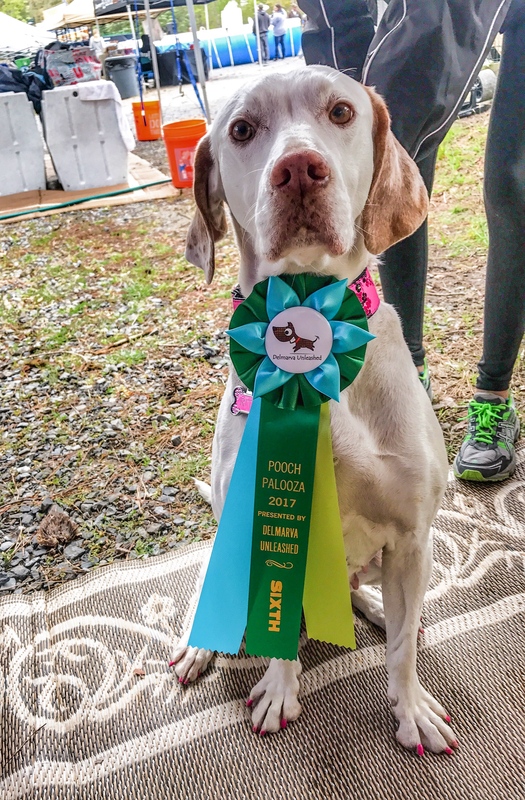 Margarita enjoyed competing in a Pie Eating Contest, where she earned herself a 6th Place ribbon! 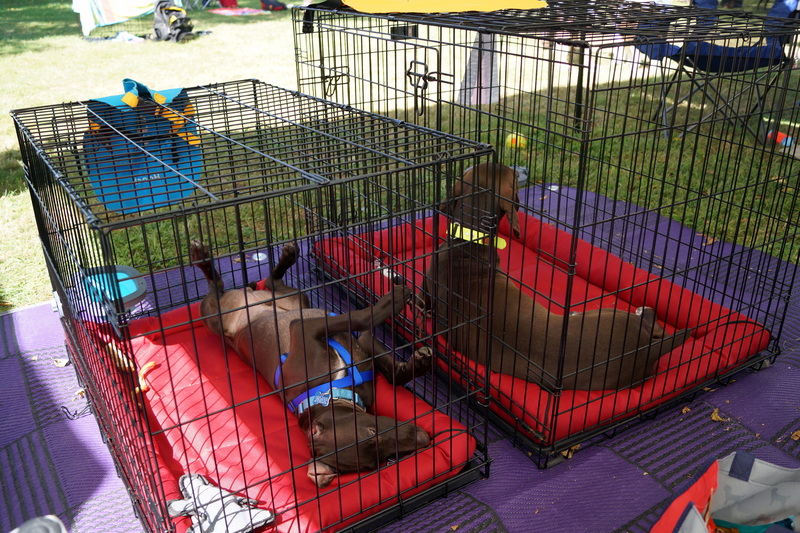 This was our second year attending Pooch Palooza at Frontier Town Campground. 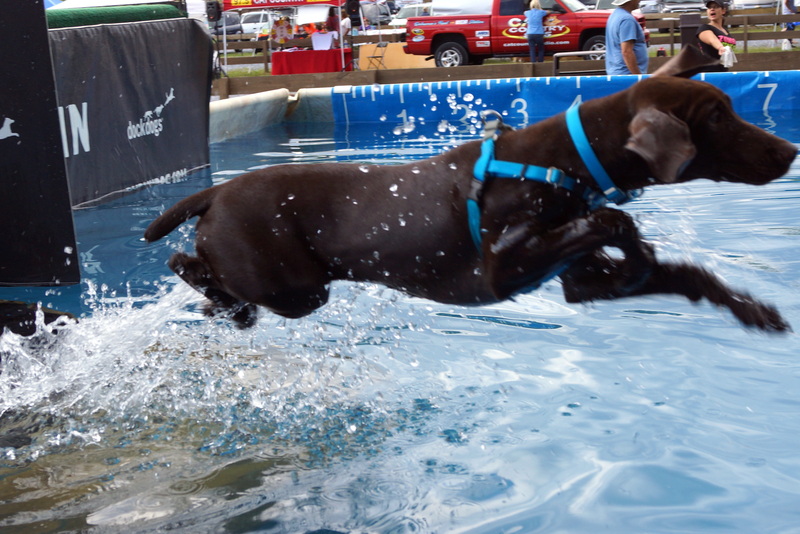 We love this event, and the best part is – it is held right at one of our favorite campgrounds! 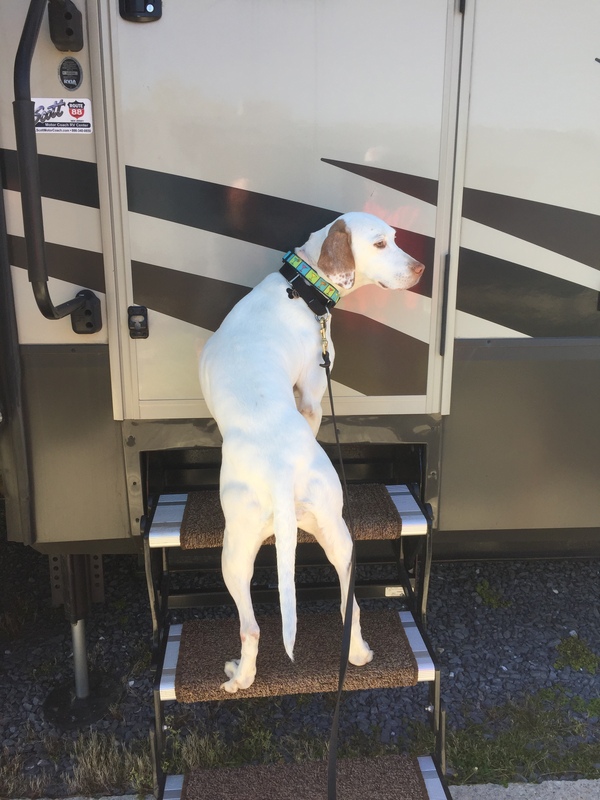 This was also a special trip because it was Rita’s first camping trip! 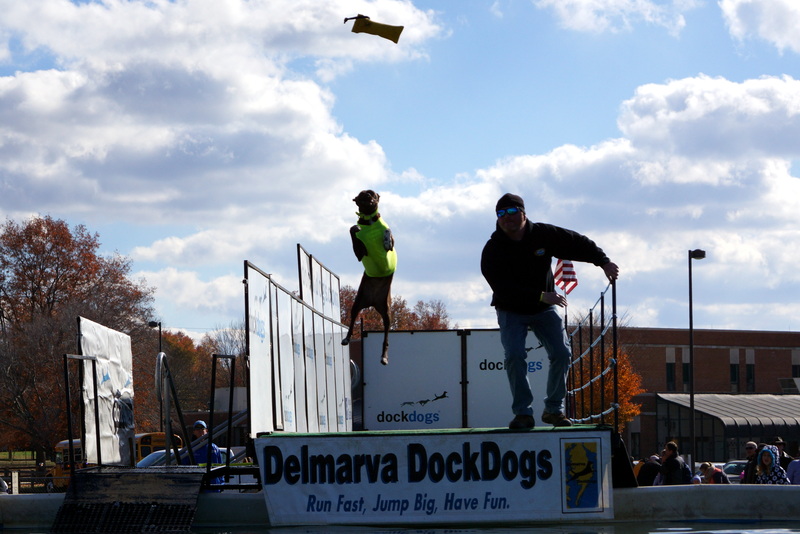 This was our first dock diving event of 2016! 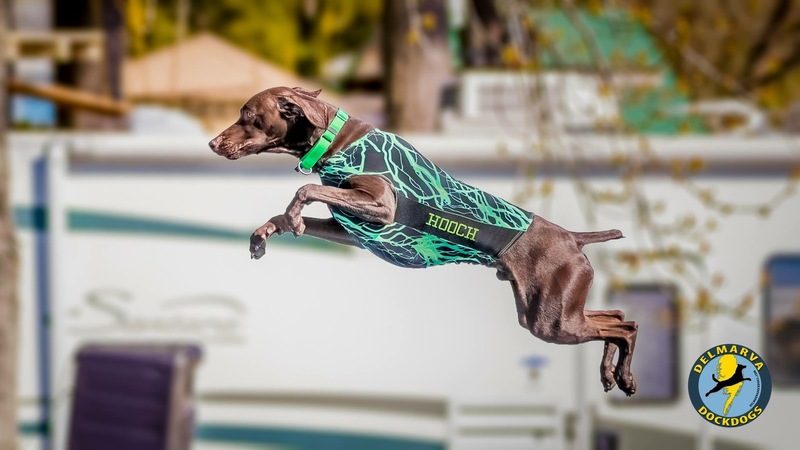 This was the first time Hooch tried Iron Dog! 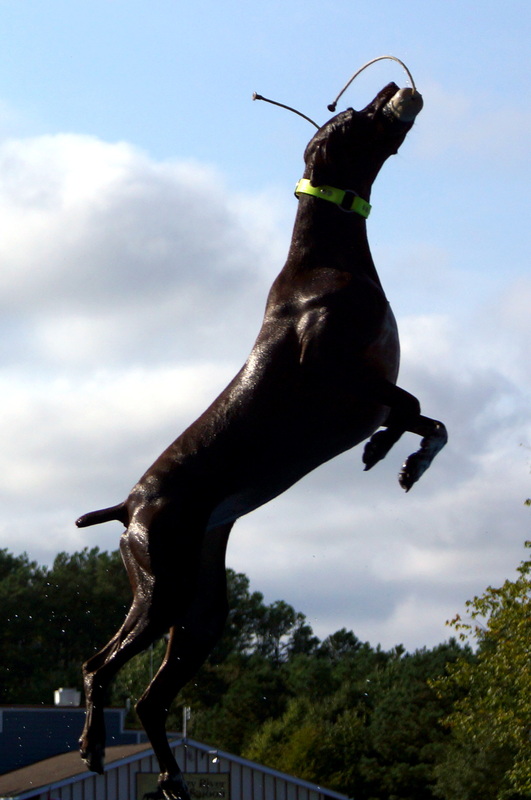 Margarita enjoyed her first camping trip and her first dock diving event! 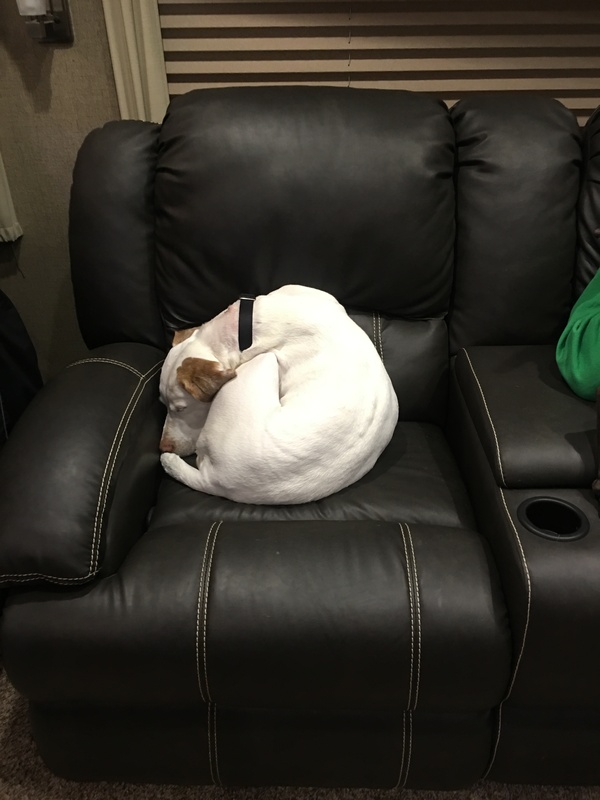 She got LOTS of attention from everyone! 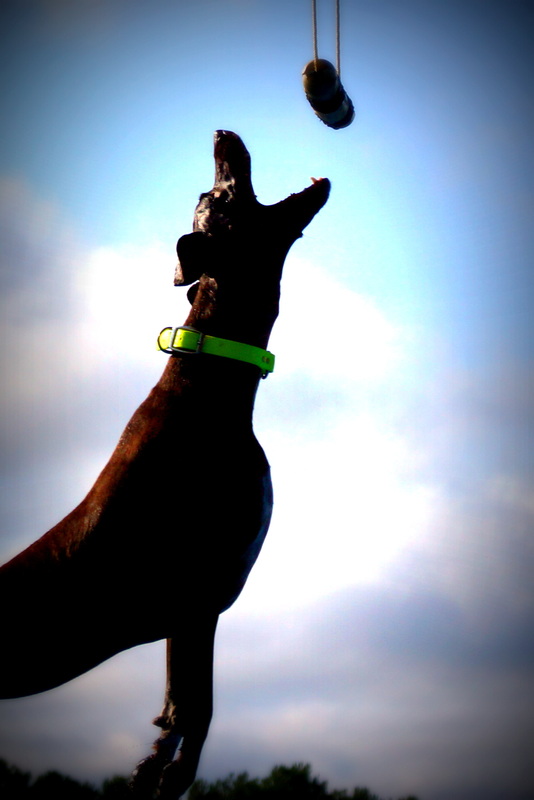 Aunt Kim bought her a Margarita collar! 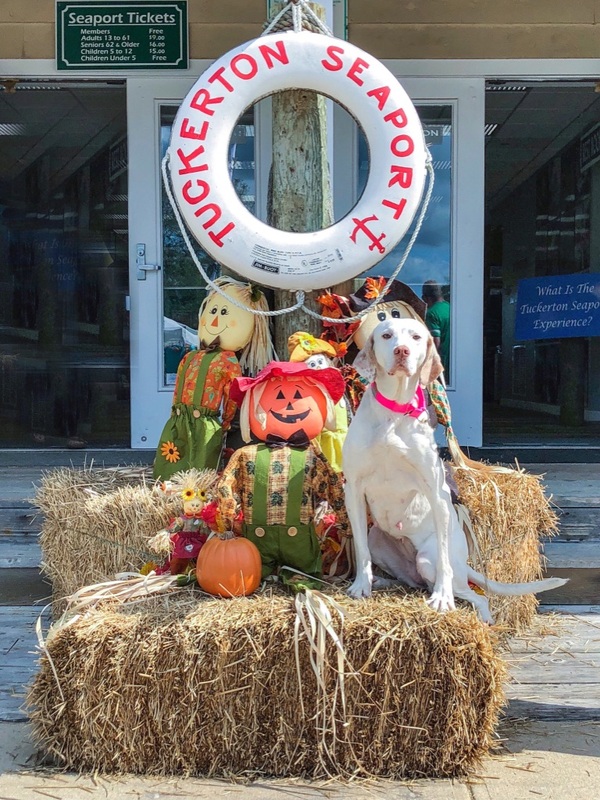 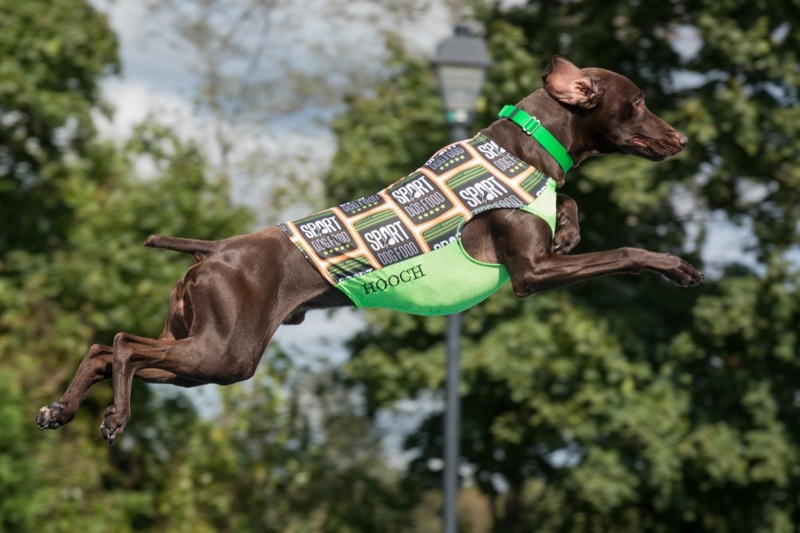 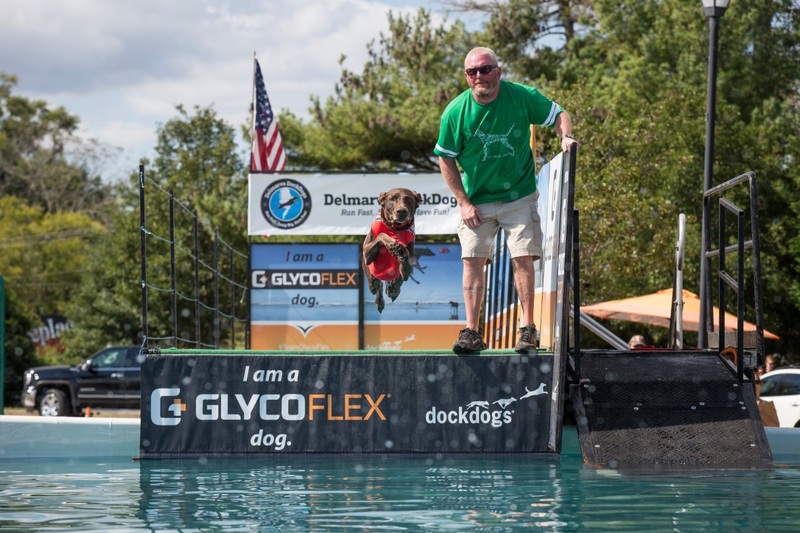 With the hopes of getting Lager an invitation to the 2015 DockDogs World Championship held in November, we took a short day trip to Elkton, Maryland with Lager only, since Limoncello and Hooch had already earned invitations for multiple disciplines. 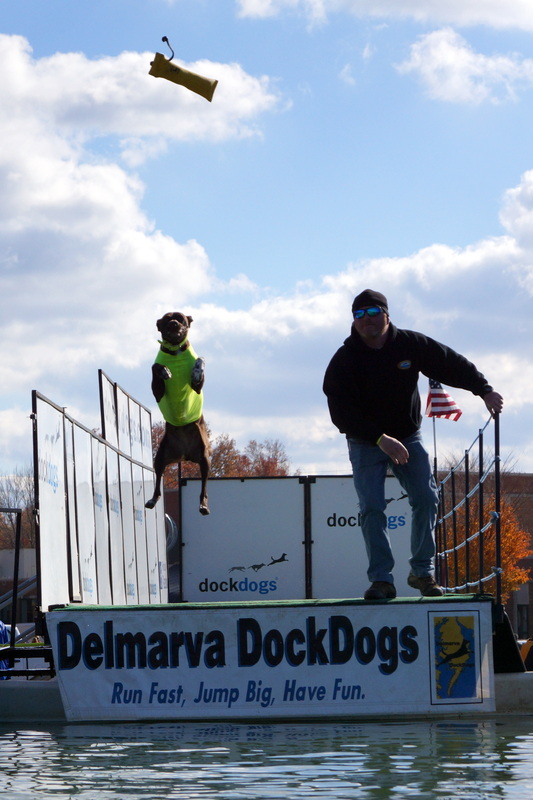 For the second year in a row, Cello competed in the Easton Waterfowl Festival Dock Diving Contest, hosted by Delmarva Dock Dogs. 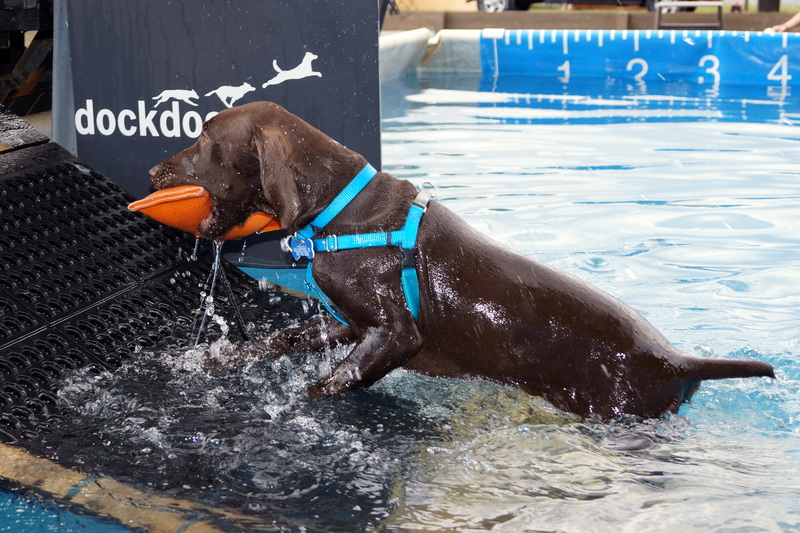 Unfortunately, I cannot access the event results due to construction on the DockDogs website. 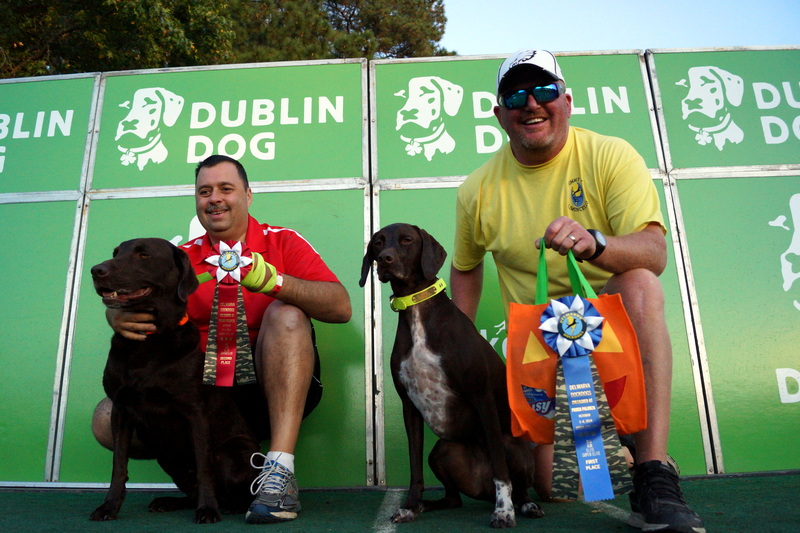 However, I can report, for the second year in a row, Cello won first place in the finals at this event! 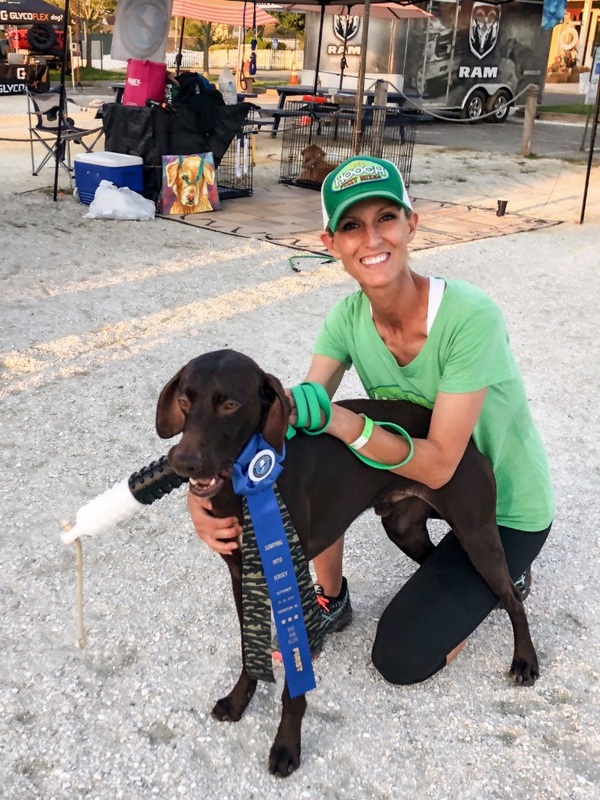 THIS time, she won first place in the Elite Division, which is one whole division higher than the first place Masters Division spot she earned last year! 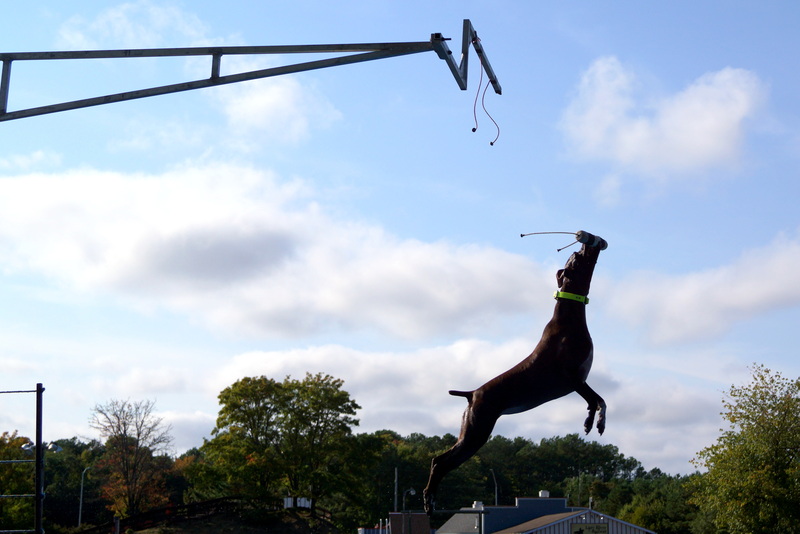 Cello also competed in the Extreme Vertical competition at this event, earning 3rd place in the Cadet Division! 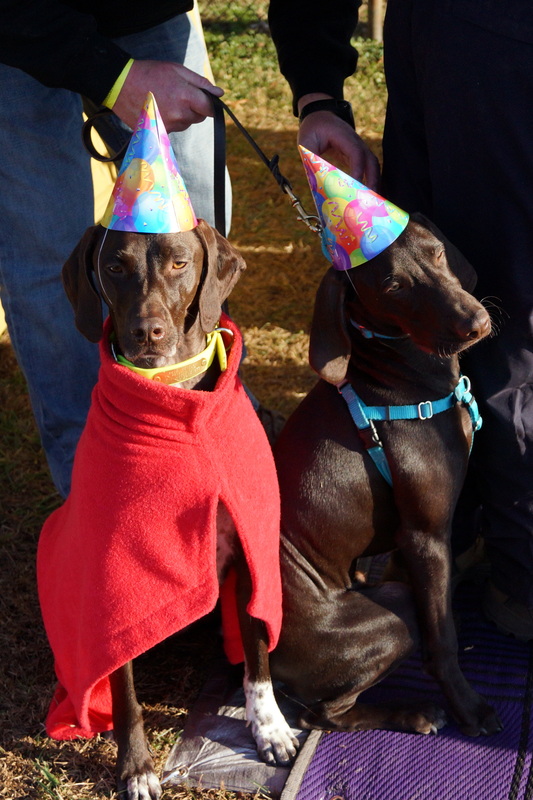 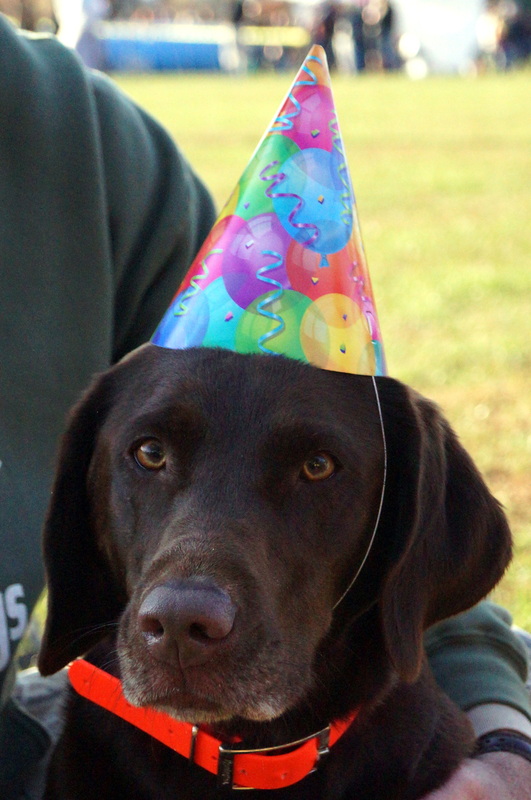 One of Cello and Hooch’s pals, Sky, was celebrating her 3rd birthday at this event, and had provided party hats and birthday cake for the pups! 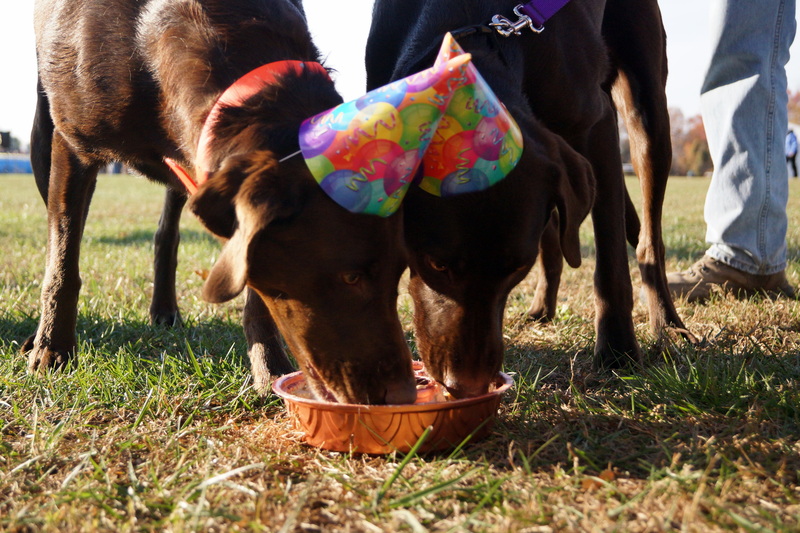 Here are PAWty animals, Cello and Hooch sporting their party hats! 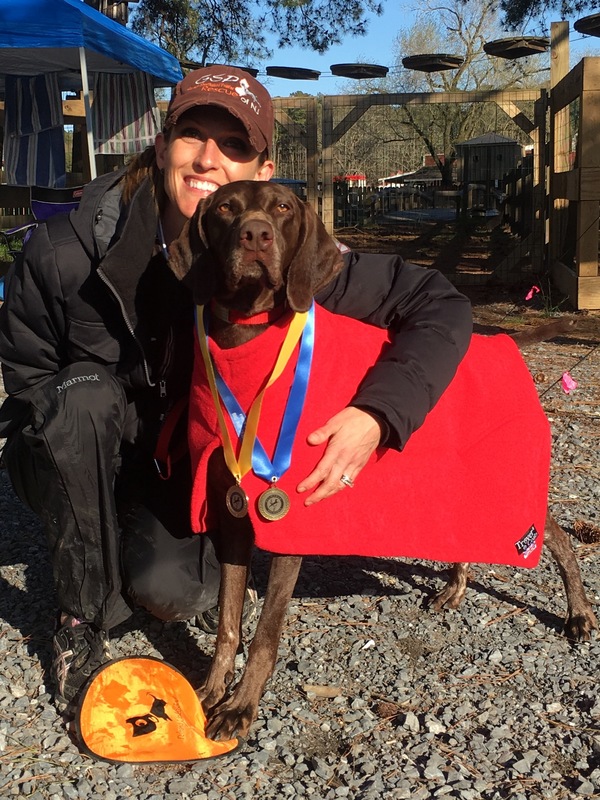 It was a chilly weekend, but we had a ton of fun, and were very proud of Cello’s performance! 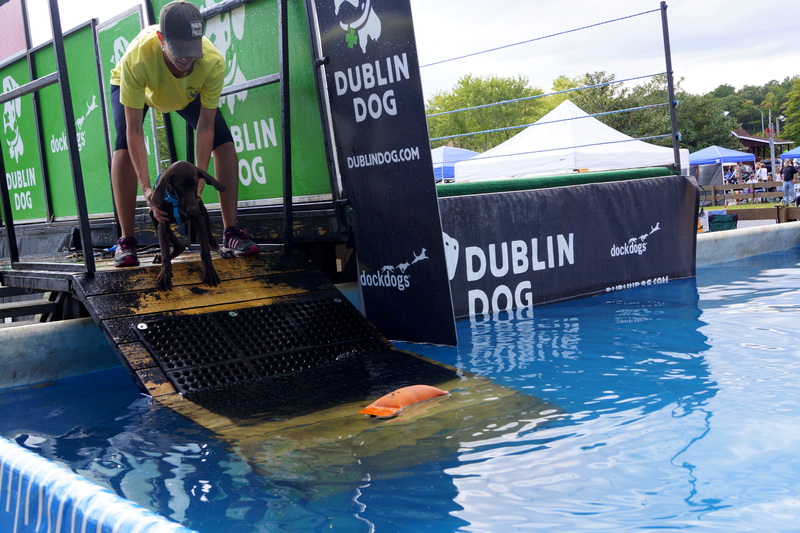 This was Cello’s last dock diving event of 2014. 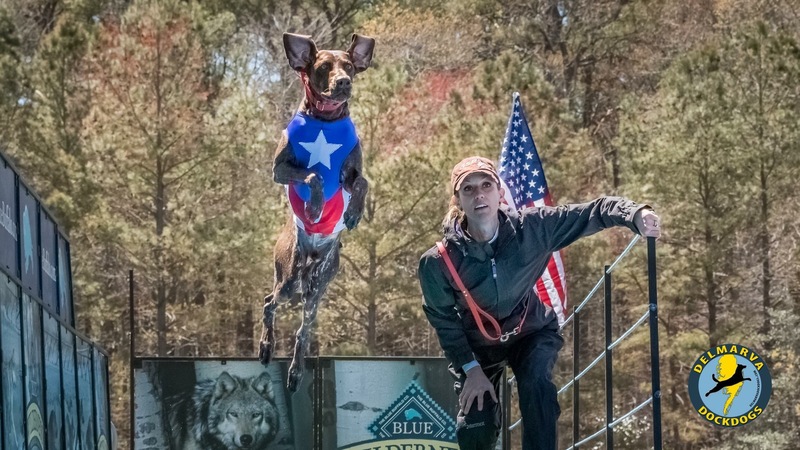 This year Cello earned both a Club and National Masters Title in Big Air, as well as a Club Elite title in Big Air. 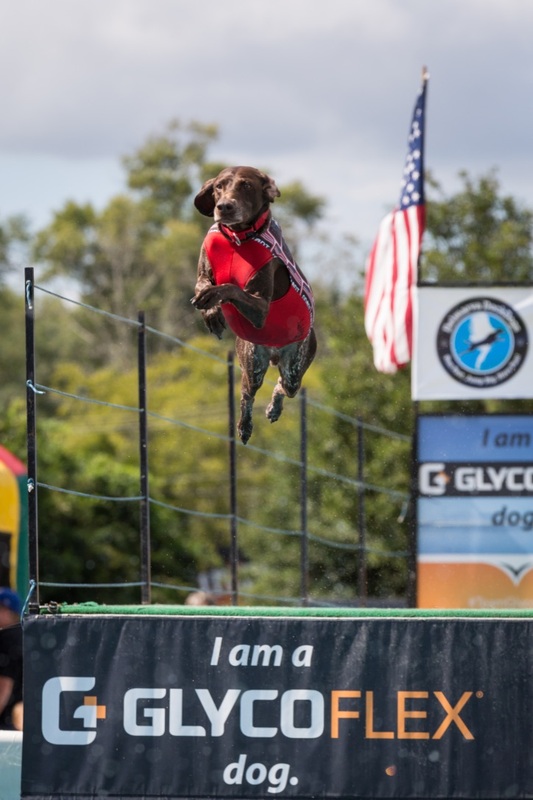 She also earned a new personal best jump in Big Air of 23′ 7″ (her first dock diving jump ever in September 2013 was 12’8″)!! 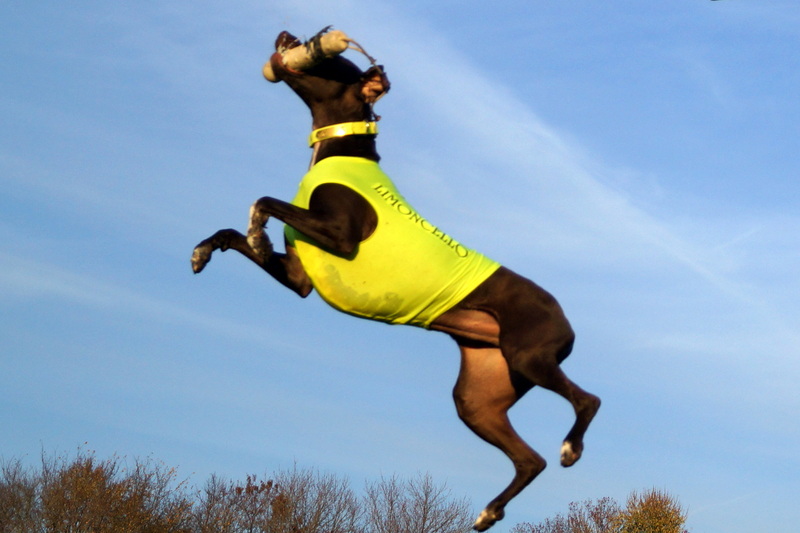 Cello tried Extreme Vertical for the first time, and placed 2nd and 3rd in finals for the Cadet division. 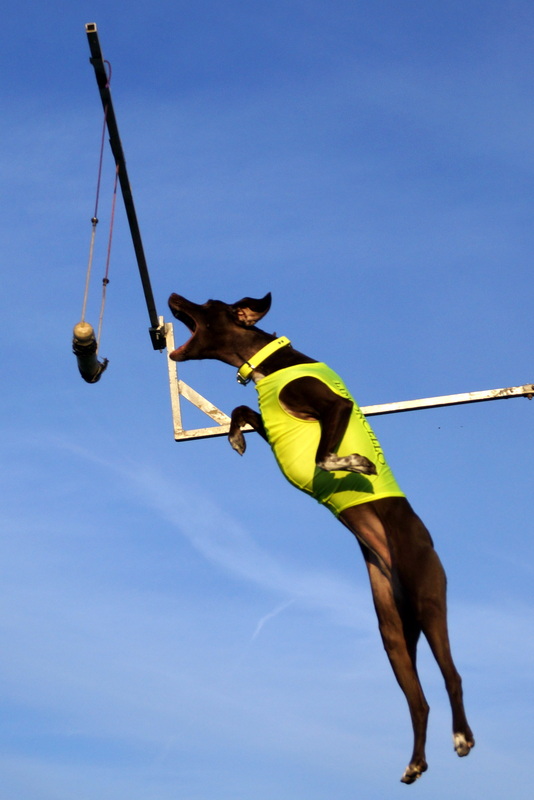 Her personal best EV jump right now is 5’6″. 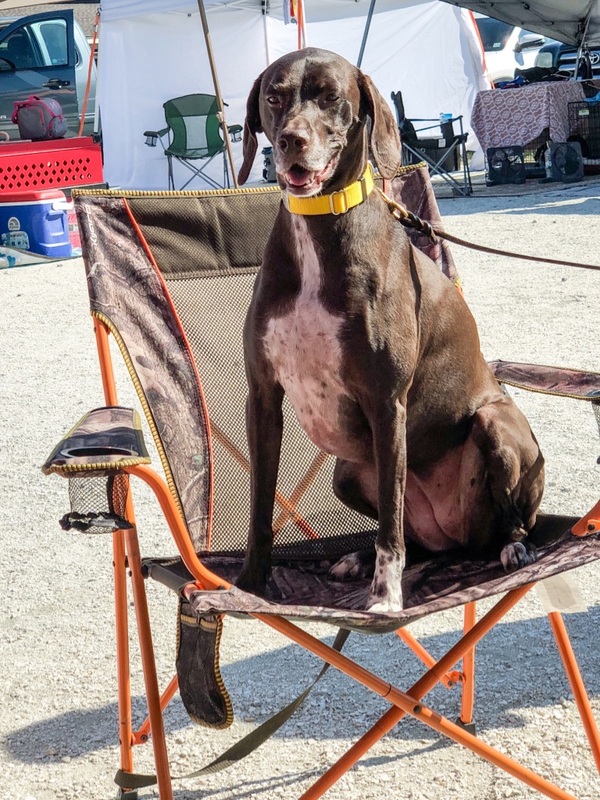 We are very proud of all her accomplishments this year, and very much look forward to the 2015 Season! 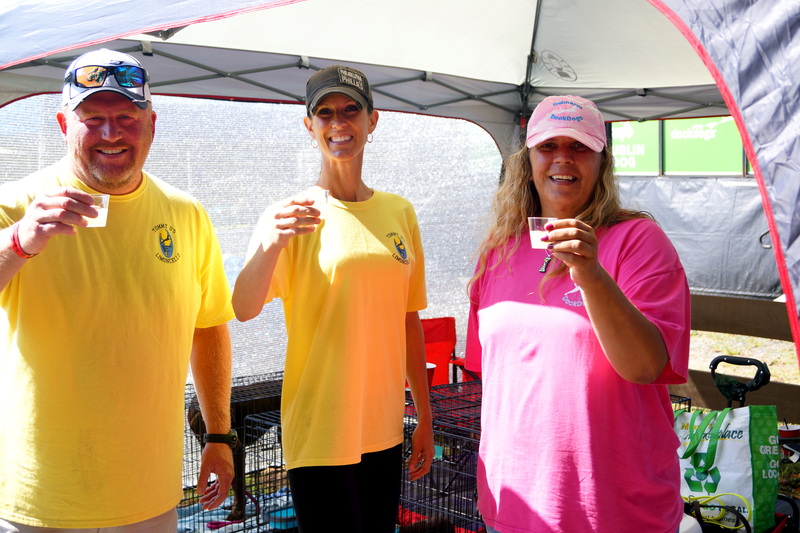 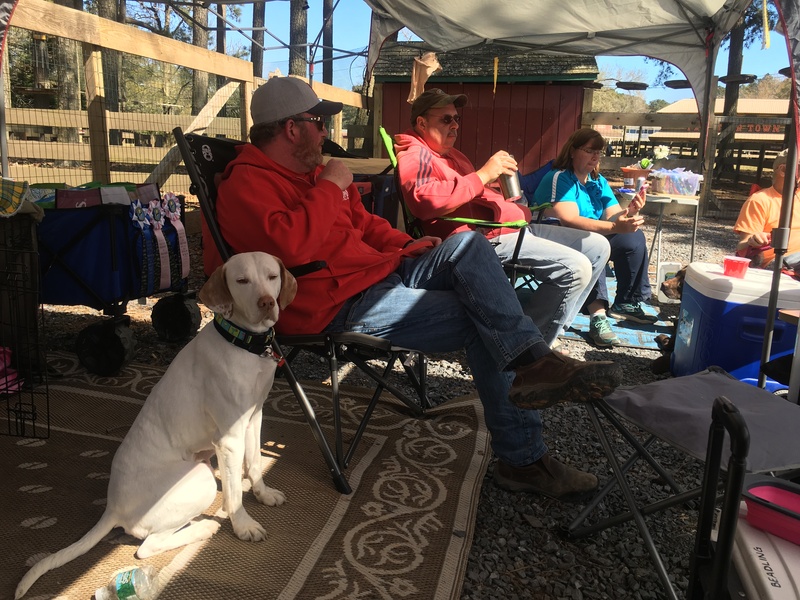 This was the first time Cello has competed in this Delmarva DockDogs event, hosted by Delmarva Unleashed, and held at the Frontier Town Campground. 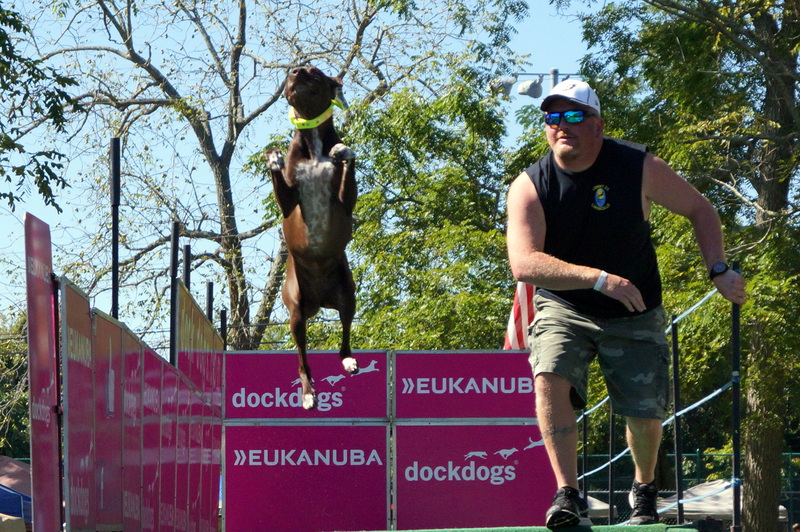 Unfortunately the DockDogs website is under construction, and I cannot post the exact results for Cello at this time. 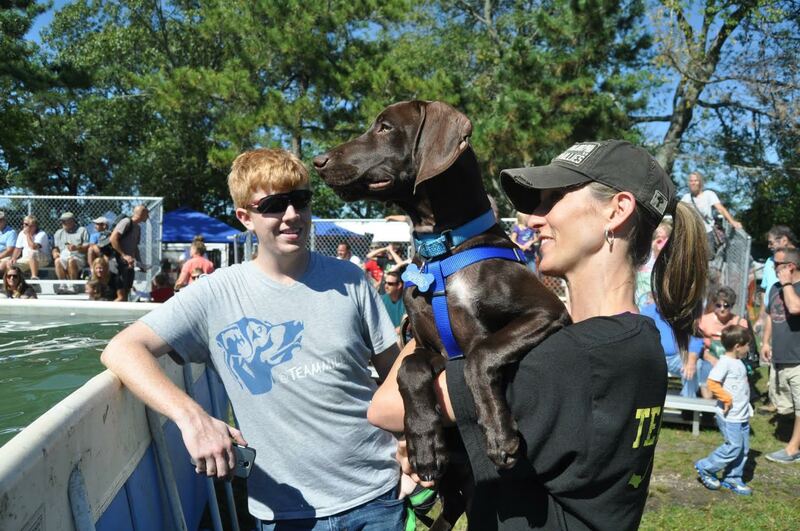 However, I can say it was a great weekend for Cello! 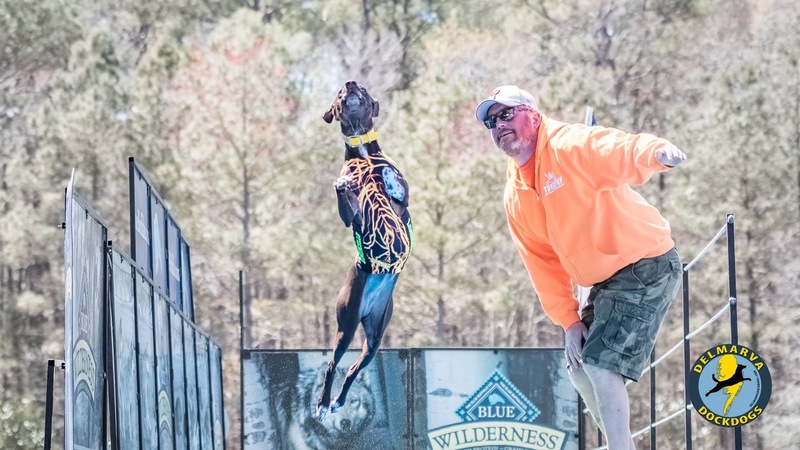 She won several medals, made the Big Air Elite Division (23′ to 24’11” range) Finals, finishing in first place, earning herself a cash prize, big ribbon, and gift bag! 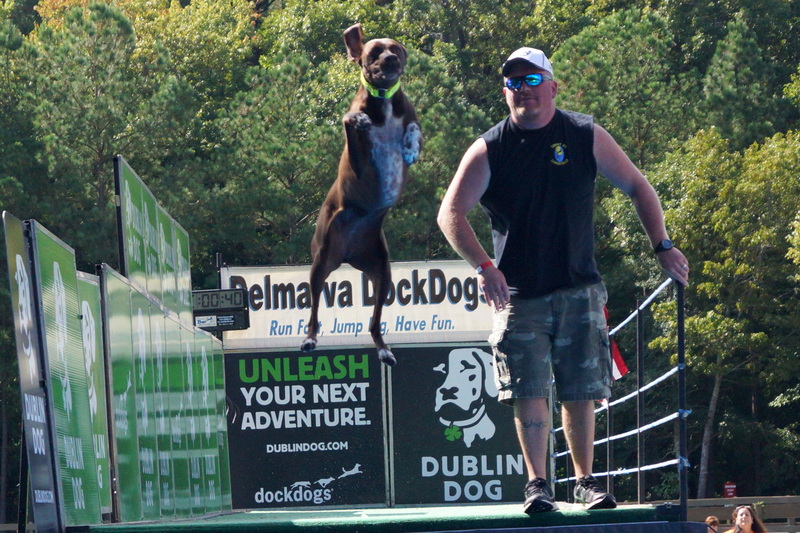 Our good friend, John, and his dog , Storm, finished in second place, so it was a very exciting Big Air Elite Finals competition! 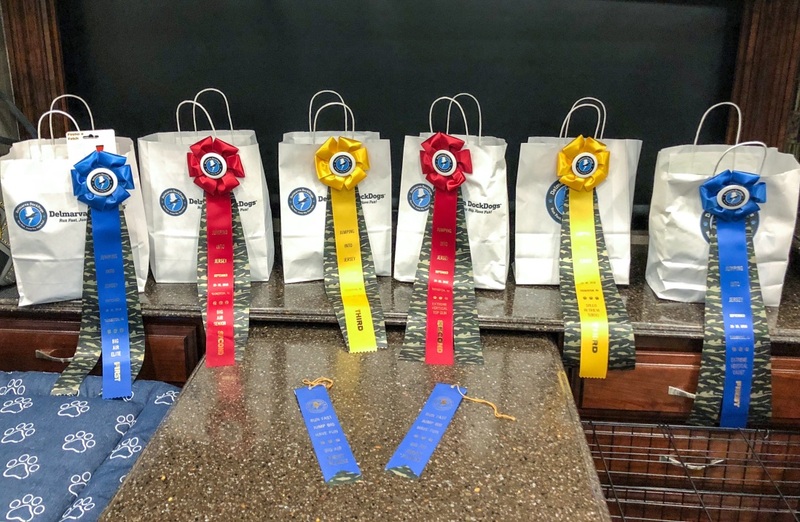 Cello gave it her best at Extreme Vertical again – this time finishing in third place in the Cadet Division, earning herself a cash prize, big ribbon, and gift bag! 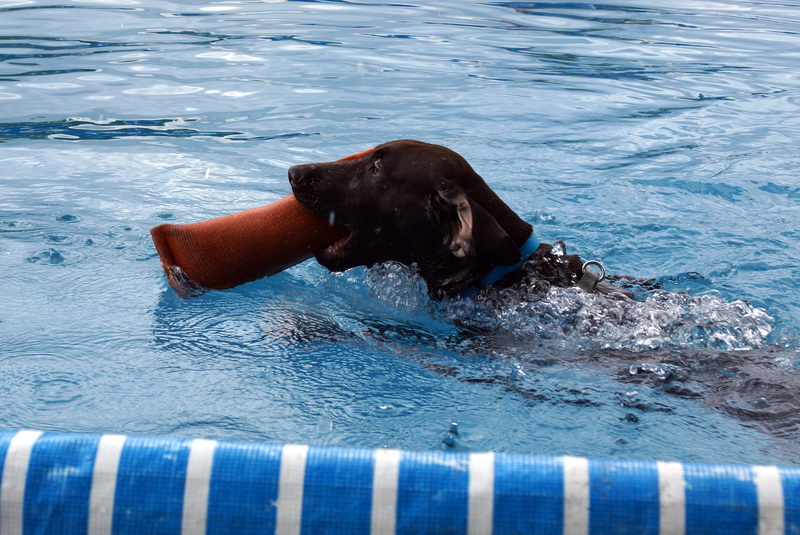 Hooch is still too young to go off the dock, but we did show him the pool and gave him a chance to fetch his toy! 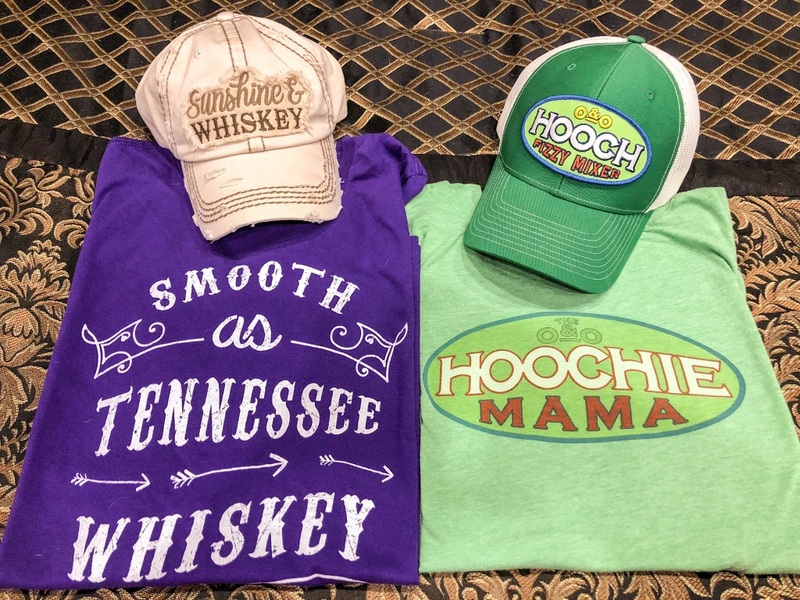 GO HOOCH! 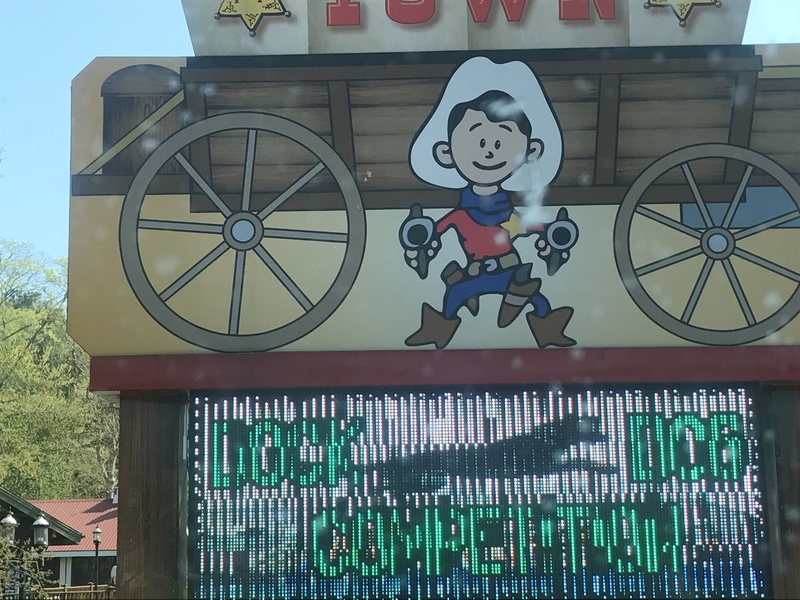 …Look out, Cello!! 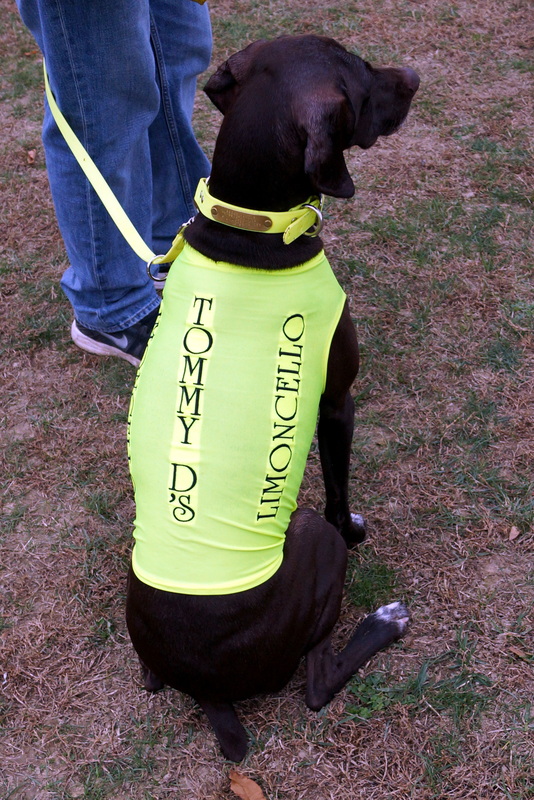 Here’s to a great weekend…Cheers to Tommy D! 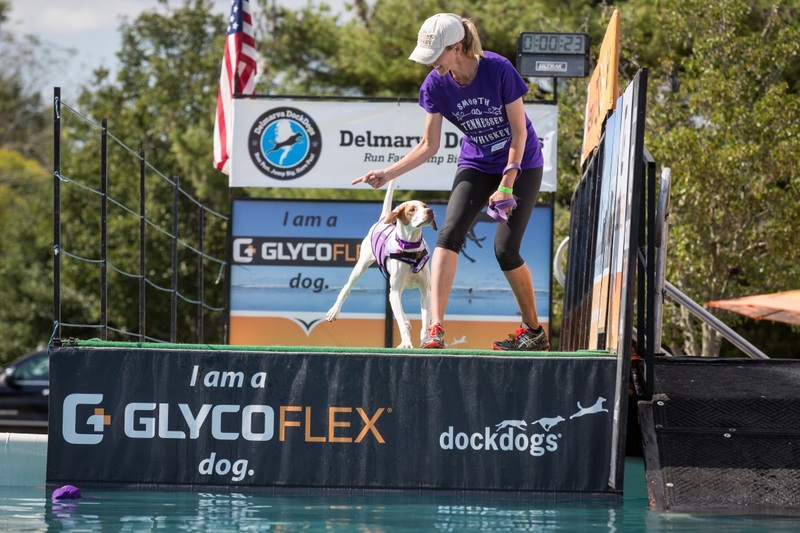 This is Cello’s second year in a row competing in Delmarva DockDogs “Jumping Into Jersey” event at the Ocean County Gunning and Decoy Festival, held annually at Tuckerton Seaport in Tuckerton, NJ. 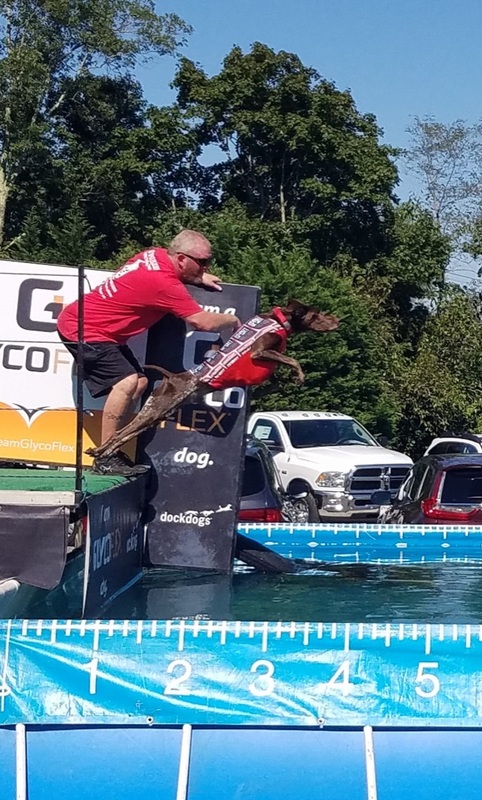 Unfortunately the DockDogs website is under construction, so I cannot post her exact results, but Cello did win several Big Air medals during this event, and even made the Big Air Finals, finishing third in the Elite (23′ to 24′ 1″ rage) Finals Division, earning a cash prize, bit ribbon, and a gift bag! 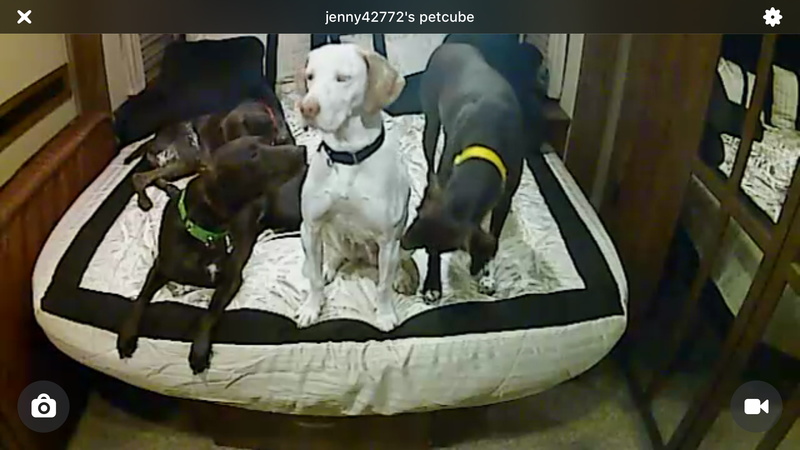 Brian giving Cello a pep talk…looks like she is giving him back some sass! 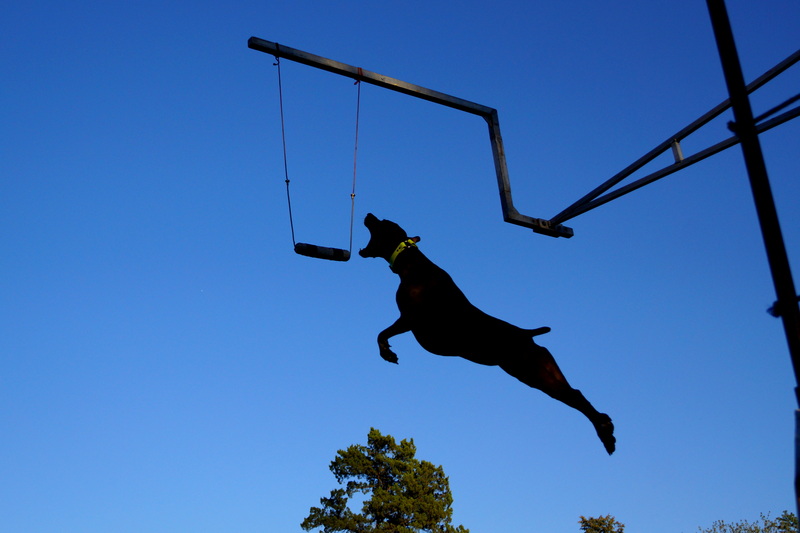 Cello also tried Extreme Vertical (high jump) for the first time! 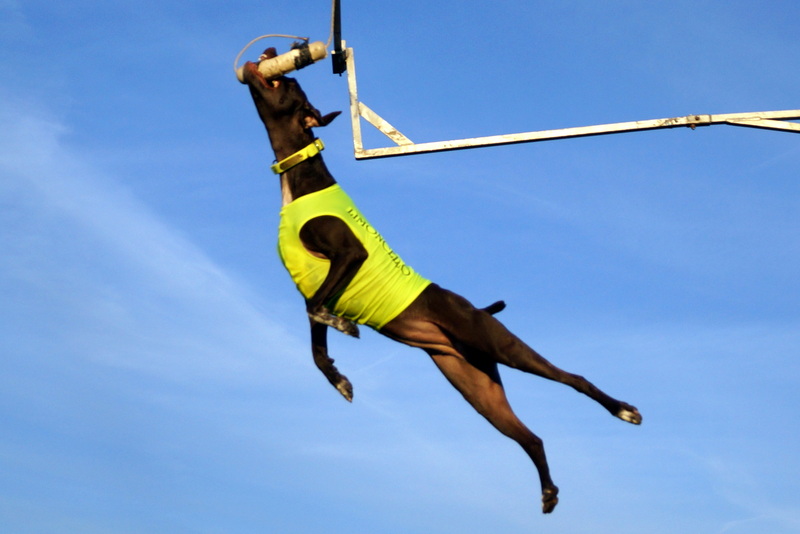 is a high jump contest. 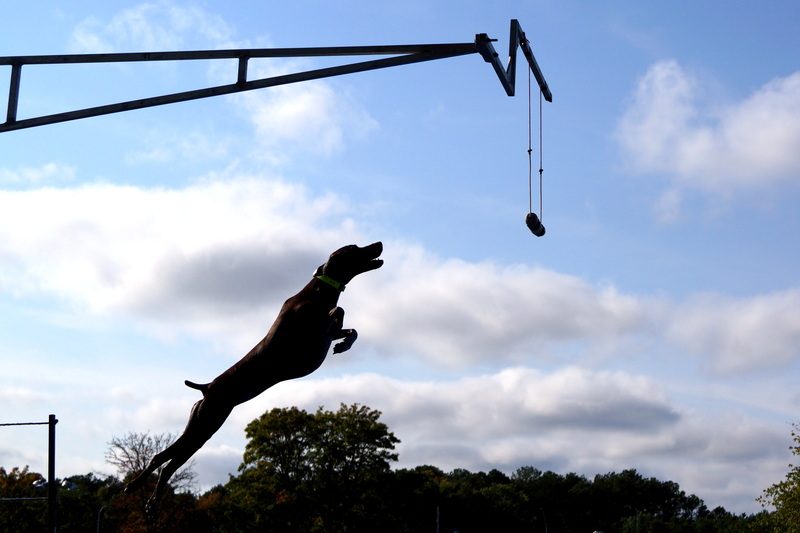 Dogs are released by their handlers, and launch upward to knock down a bumper, which is suspended over the water eight feet out from the end of the dock. 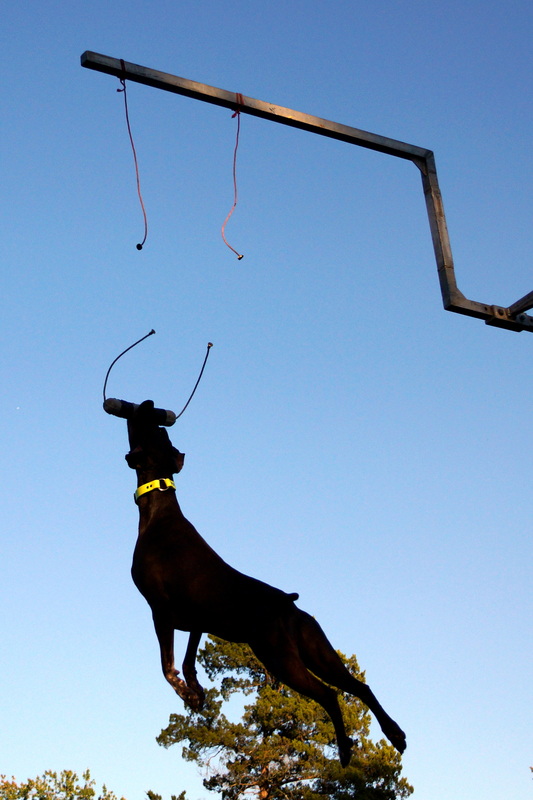 The current world record is 8′ 11″ . 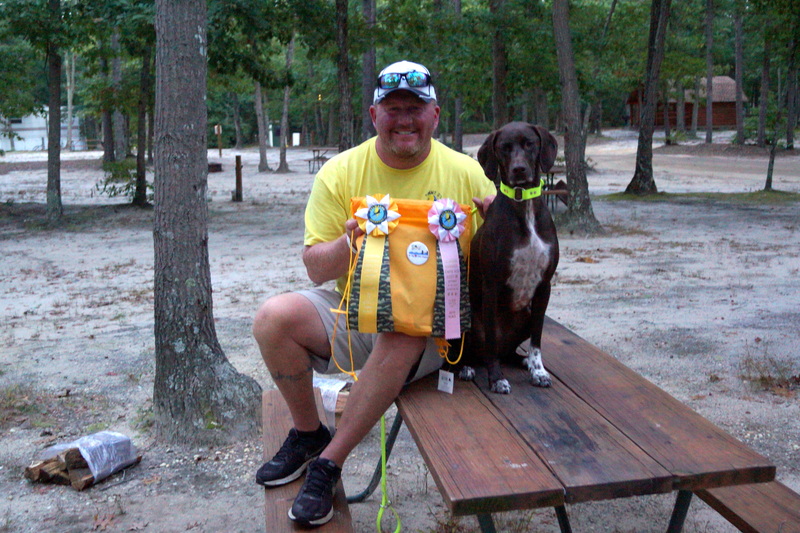 Cello did really well for her first time, and placed 5th in the Cadet Division Finals, earning a big pretty ribbon! 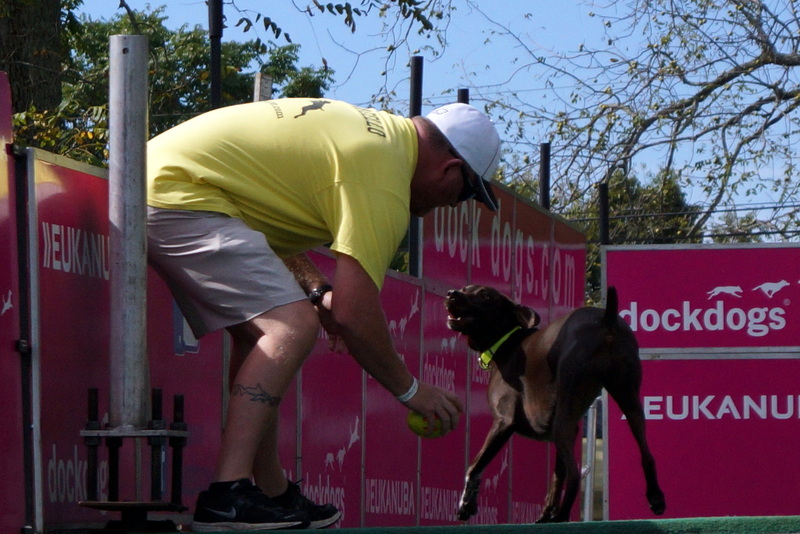 As always, the weekend was filled with great people, lots of fun, and many super-cool pups! 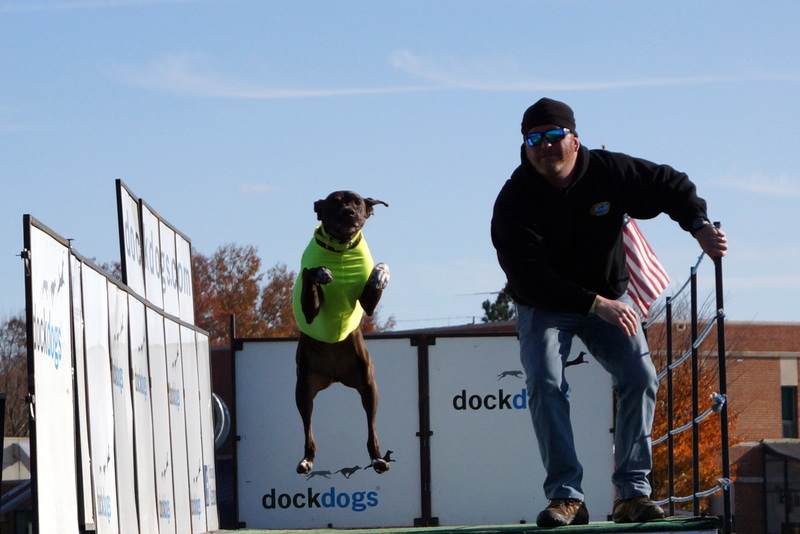 We were very proud of our little Dock Diving Diva!